Welcome to the Global School of Project Management at UCI! Receive a cordial greeting from the administrative and academic staff of the Faculty of Project Management, which supports the Global School of Project Management (GSPM). 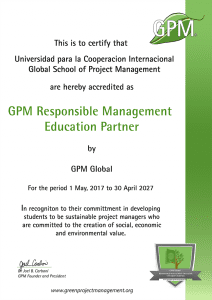 In order to meet the needs for sustainable, innovative and successful development of individuals, companies, public institutions, NGO’s and other organizations, GSPM promotes multidisciplinary and international educational experiences of high impact in the lives of its students. Based on the study and application of good practices in project management, such as those proposed by the Project Management Institute (PMI) and the Green Project Management (GPM), GSPM teaches and practices the discipline of project direction and management, which specializes in fostering development and change through initiatives that move society and its members. 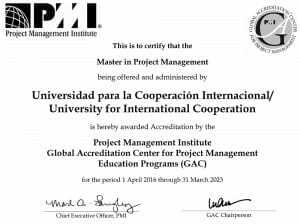 Since 2009, UCI’s GSPM has held the privilege, but also the responsibility, for having the first Master in Project Management program, in Latin America and the Caribbean, in online and blended modalities, in Spanish and in English, accredited by the Global Accreditation Center (GAC) of PMI. This distinction completes the prestigious condition as Global Registered Education Provider (Global R.E.P.) that UCI holds since 2001. Our programs in Project Management embody the fundamental principles of today’s world in terms of interaction, interconnectivity, competitiveness, efficiency, accessibility, flexibility and technology. These are vital characteristics to form a foundation of higher education of the highest quality in our students, who are professionals committed to their careers and their role as agents of change in a world that requires it promptly. GSPM offers the Master in Project Management Program and other academic programs in modalities that are 100% classroom attendance, blended, and 100% online. 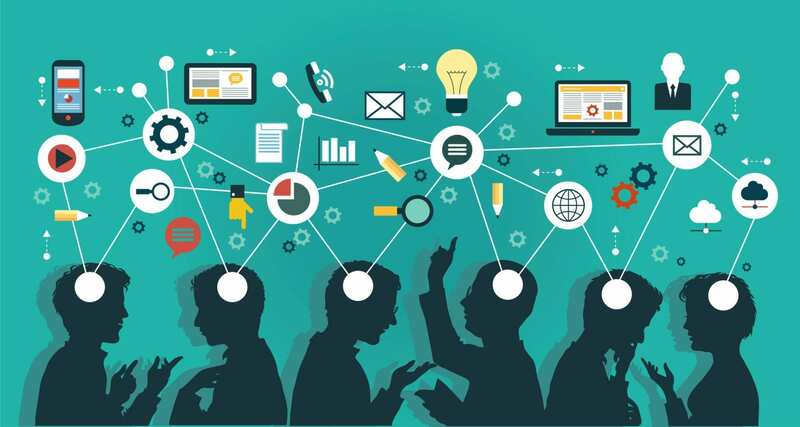 In the latter two cases, the student’s progress towards acquiring competencies is accompanied, not only with expert facilitators in their field of action, but also with the virtual platform used by UCI, which favors the creation of virtual learning communities, collaborative and meaningful learning, the development of competencies, the strengthening of soft organizational skills, communication, conflict resolution, discipline and results orientation. Along with individual technical skills, the development of teamwork skills, of knowledge integration, and of holistic and inclusive approaches to problem solving are encouraged. Projects are expression and yearning for improvement. For this reason, we work with innovative topics, which start out from current trends in education, science and technology, but are based on real actions. “Glocality” is a challenging way to confront these formative processes: global perspectives and local actions. The projects are not only our “work”: they cover all the phases of our life!. To be an international and multidisciplinary center dedicated to professional training and to the promotion of good practices in project management, in order to support the construction of an intelligent global society with universal ethics. To be recognized as a center that researches, innovates, teaches and practices the professional management of projects to support the regenerative and evolutionary development of an inclusive, complex, diverse and changing society. We are the first university in Latin America to have a program accredited by the GAC (Global Accreditation Center), in both blended and online modalities, and in two languages: English and Spanish. We were also the first university in the region to obtain recognition as R.E.P. (Registered Education Provider), since 2001.
International experts, who manage projects all over the world, form an important part of our teaching team. Ours is a top-level program that responds to today’s complex paradigm of project direction and management.ndo. 3-Education and innovation for the XXI Century. Our student´s experience and the needs of our societies are the starting points for the design of our programs. 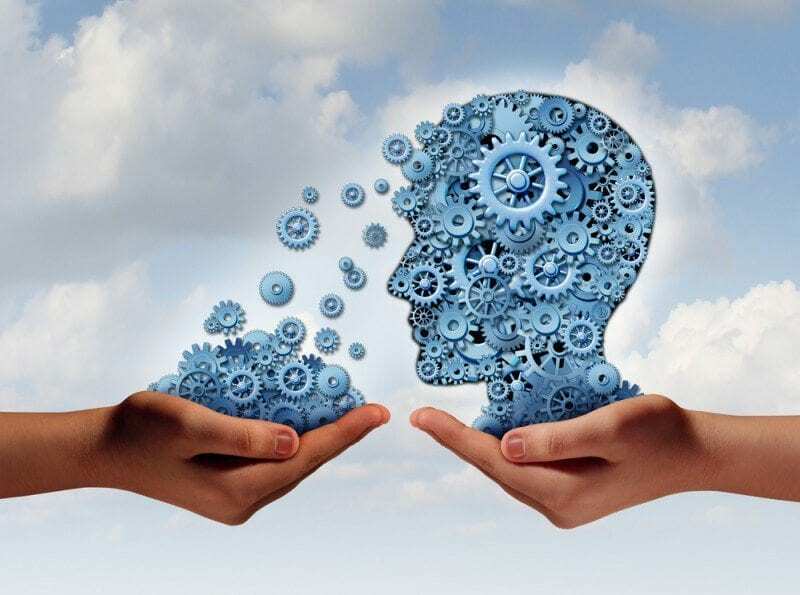 We strengthen direct relationships between knowledge and the development of skills in the human talent. Our Virtual Platform has evolved in excellence and continuous improvement for more than 15 years. GSPM’s Master in Project Management program is much more than a certification. It provides a real competitive advantage in the professional career of an expert in projects. The “GSPM experience” positions our graduates in charge of global development. 5-An intelligent and planned investment. GSPM has world-class programs at accessible prices*. The School understands that increasing the number of professionals in project management is the most certain and concrete way to promote the world´s sustainable development. 6-A global vision with infinite local possibilities. The development of the knowledge society, the management of an integrated world economy, the protection of biodiversity, and the progress of the inhabitants of a remote population, are all achieved through the execution of thousands of projects every day. 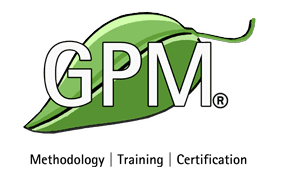 The GPM logo is a registered trademark of GPM Global. PMI, PMBOK, PMP, and the PMI Registered Education Provider and PMI Global Accreditation Center logos are trademarks of the Project Management Institute, Inc.
Civil Engineer, Master of Science in Civil Engineering, Master of Science in Management, with over 25 years of professional experience. 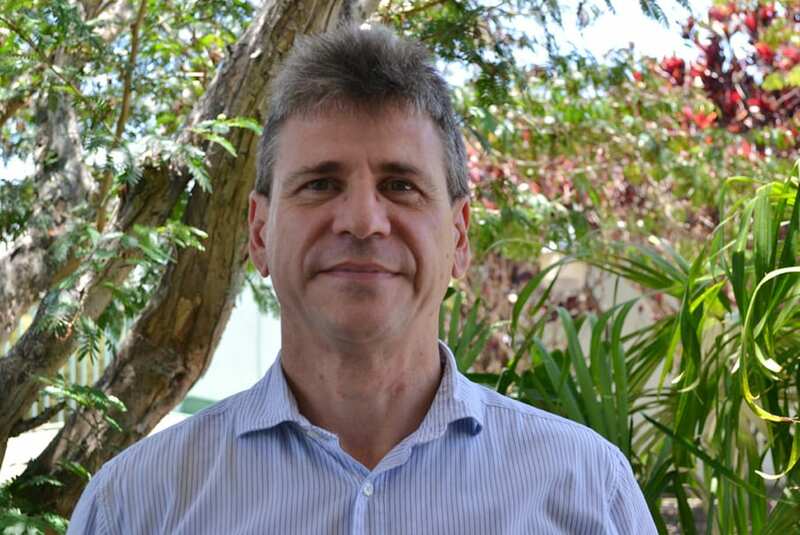 He is the manager of the Global School of Project Management at UCI, Costa Rica. 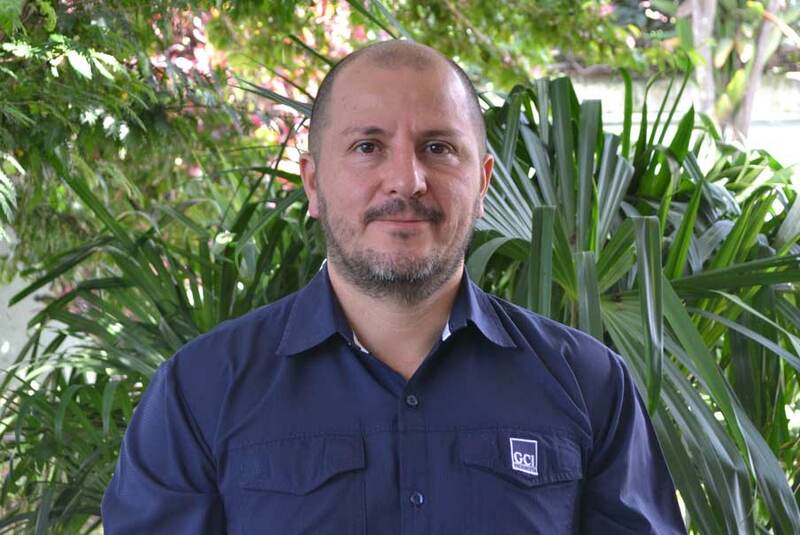 Hotel Manager, Master in Project Management, with over 15 years of professional experience. 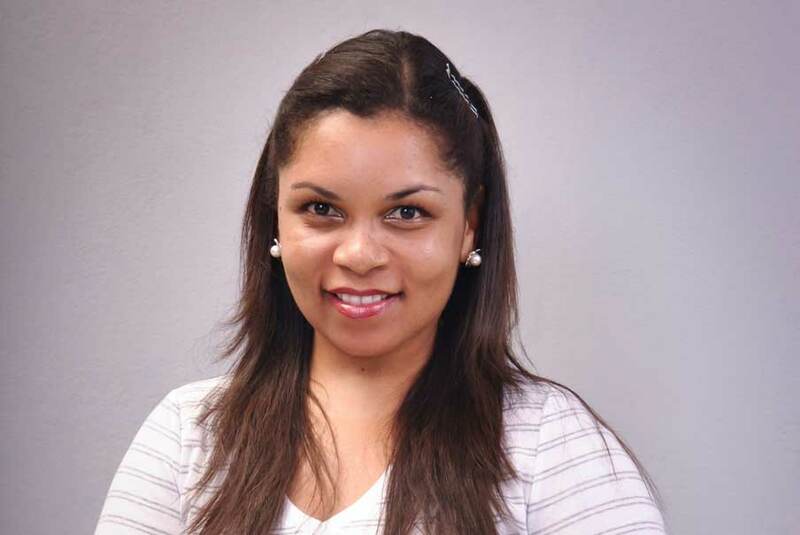 She is a Project Manager in the Business Shared Services Division at Hewlett Packard, Costa Rica. Thanks to this Master’s program I am able to market myself more professionally; limitless possibilities now lay before me that exceed my greatest expectation. 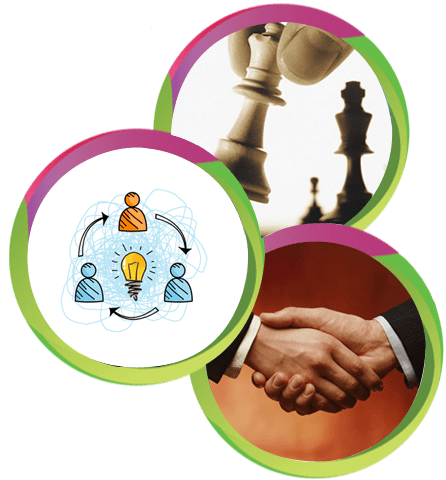 The MPM program has placed the discipline and practice of project management into a clearer perspective which will enable me to better employ the body of knowledge, tools and techniques for organizational success. The course is PMI accredited and will significantly improve my marketability. Additionally, it has allowed me to network with other professionals in the Caribbean from various fields.